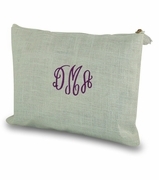 Monogram Make Up Bag. Cute solid quilted material with polka dot ribbon trim through the front center. 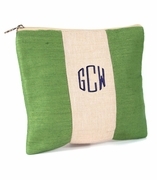 Add this light weight mini sized cosmetic bag to a duffle or tote for a complete set. Use for cosmetics, bath and beauty products. Nice size for travel or gym bag. 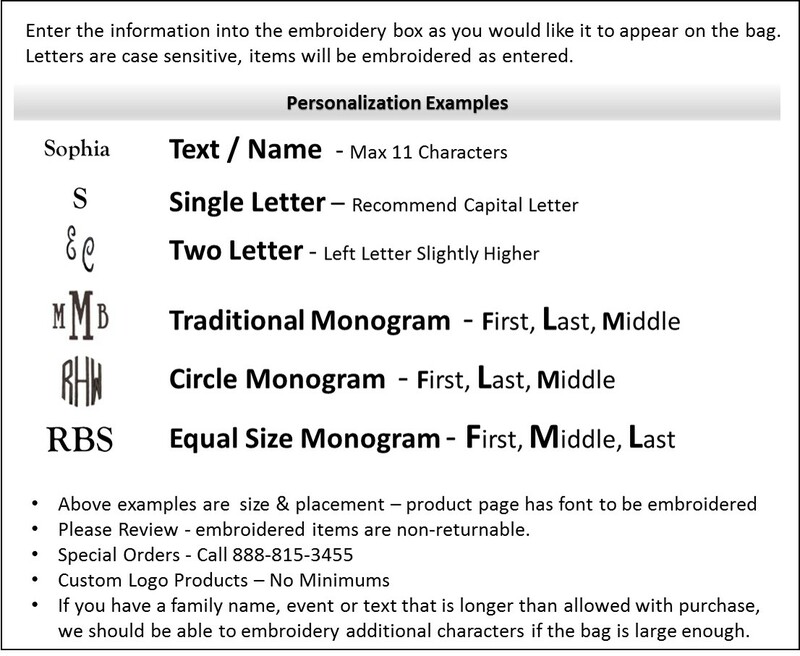 Add a monogram, single letter or name included with purchase. 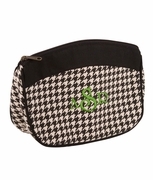 Matching quilted duffle bag is available search item BSKY-EXLG-GSD2701. 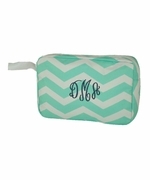 Monogram make-up bag measures 8" x 5" x 3" across bottom with zipper closure.